We at retro arcades pride ourselves on quality of work. We are a small Canadian company located in Barrie Ontario. 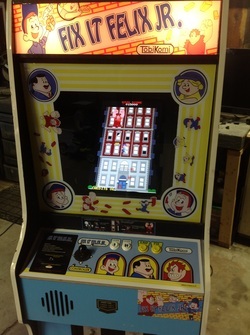 We take classic arcade cabinets and rebuild them with any game of choice. We offer customized decals and marquees for our customers to choose. We offer you the customer any game of choice for the arcade. If you choose to change the game out in the future we are happy to update it with a matching marquee. We stand behind our work. If you have any issues with our product please contact our support department and we will help you.